OK, this is going to be a little long post. 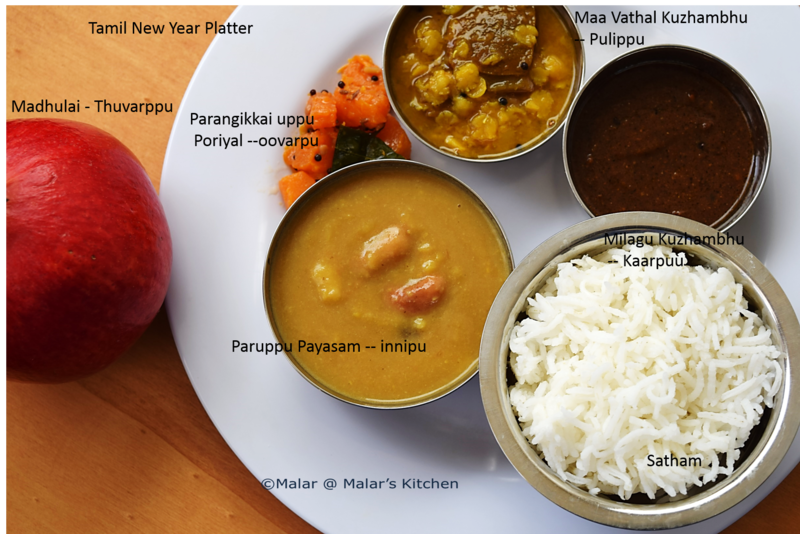 Feb 26th is the first anniversary for Malar’s Kitchen. I never thought I would blog on for a year. It is already a year and I can’t believe it myself. I started it just like a kid and to document all recipes. 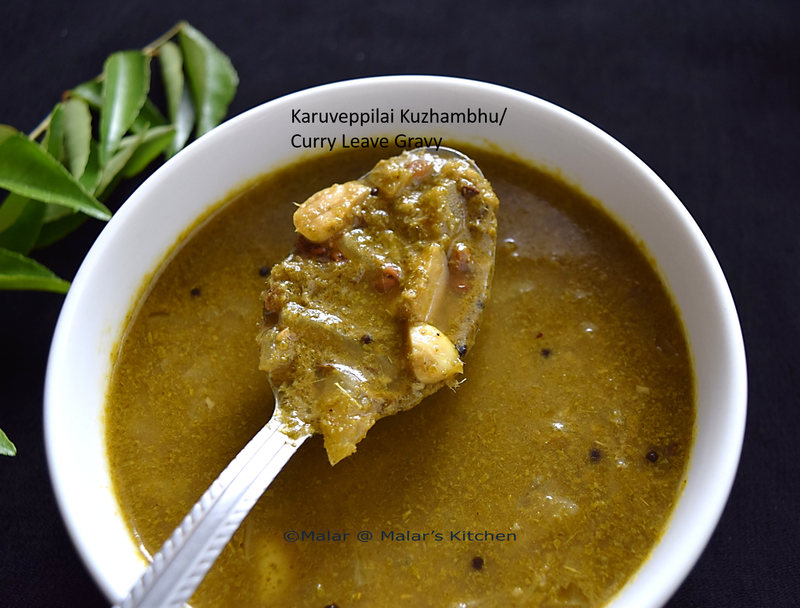 To share some Chettinad recipes. I never felt I would be blogging so seriously. Blog world has given me wonderful friends. Though sometimes I did go stressed with the blog post, blogging is always fun, addictive and enjoyable. I hope and guess have given some healthy recipes, some traditional recipes. Till date there is 182 published post in my blog. Sigh!!! Did I do that? I wonder myself 🙂 I should give credits to my husband who did bare my cooking 😉 yeah sometimes when I try out a recipe and if doesn’t work…he has to manage with it 😛 He is always supportive. He is as well a blogger, who encouraged me all these days. In case you are interested do check his blog @ Known is a drop, Unknown is an ocean Thanks to all my blog followers, friends who follow in Facebook, friends who have subscribed via email. A big Thanks to everyone who have supported me and let me go on. 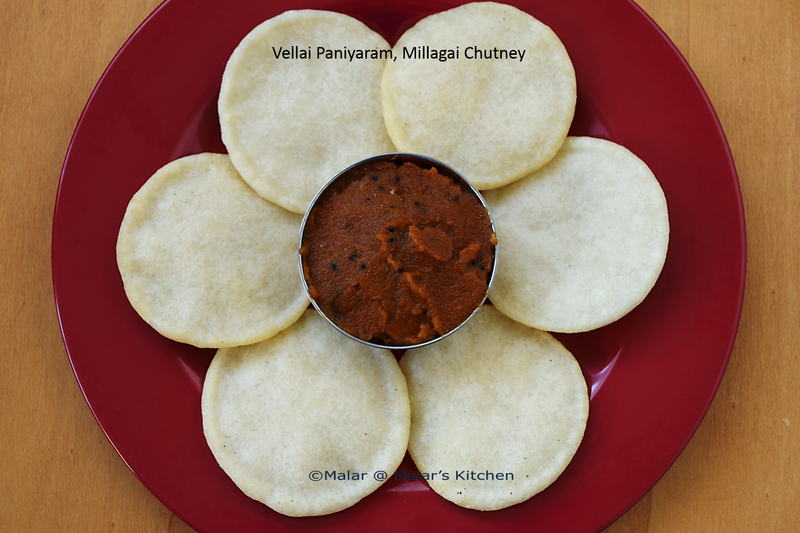 I never knew that food photography existed in the first few months while I started blogging. After seeing some wonderful pictures from co bloggers, I thought I should change my way and did few things. Till date I have just taken baby steps to learn. Hope my pictures look a bit better now. In a pan, dry roast each ingredient in to grind separately , make sure not to burn and let it cool. When cool, grind it to a coarse powder( I made it to a fine powder). Heat oil of 1 tablespoon in a medium pan. When hot add onion, saute for 2 mins. Next add the chopped pumpkins, saute for 3 to 4 mins. Next add tomato and saute till it mashes well. Add turmeric powder, salt and mix well. Now add around 1 1/2 cups of water and let it boil for 6 to 7 mins. Close pan with lid. Check if the pumpkin is 60 to 70% cooked. Now add the ground powder. Mix well. 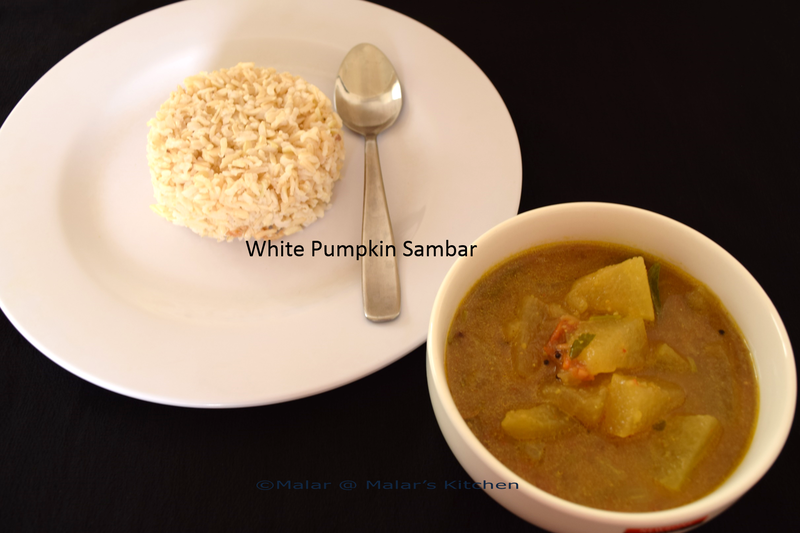 Sambar would start getting thicker. Add 1/2 cup of water more and mix. 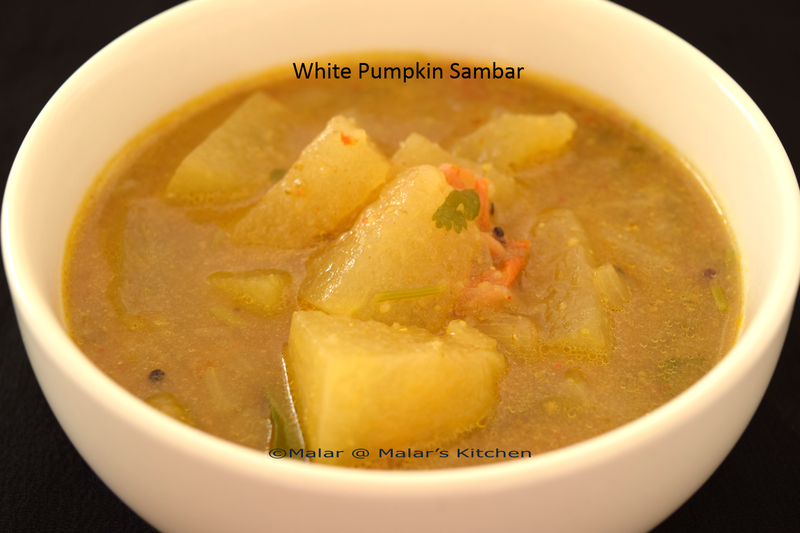 You can adjust water , so that it has the consistency of sambar. Make sure it is not too thick or not too watery. Check for salt and adjust it as well. Boil for another 10 mins. Now add tamarind juice and mix. Boil for 5 mins. Finally check if the pumpkins are fully cooked with flavors. 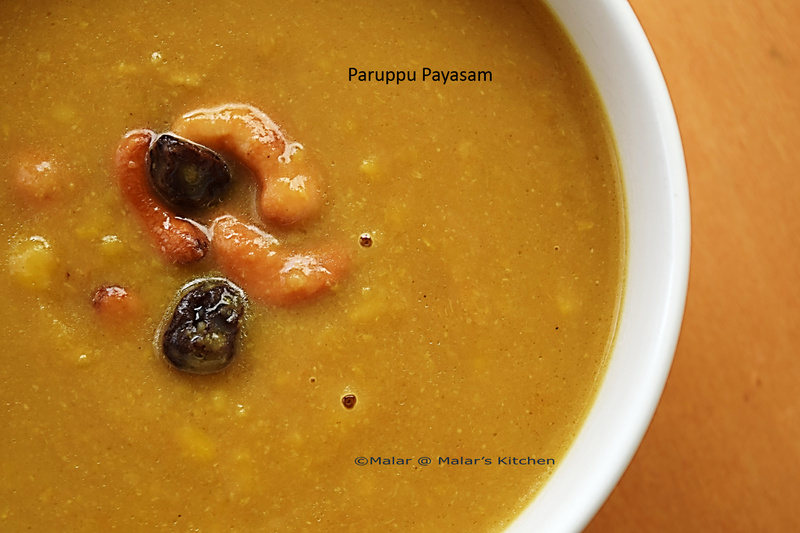 Now heat 1/2 teaspoon oil in a small pan, add mustard seeds, urad dal, hing. 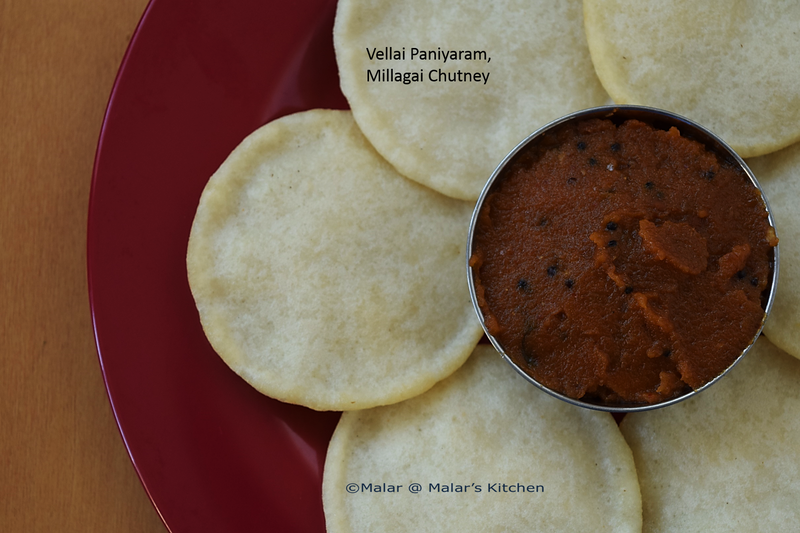 When they crackle, add curry leaves. When it splutters add it to the sambar. Garnish with cilantro leaves and serve with rice. Once again heart felt Thanks to all followers and supporters. 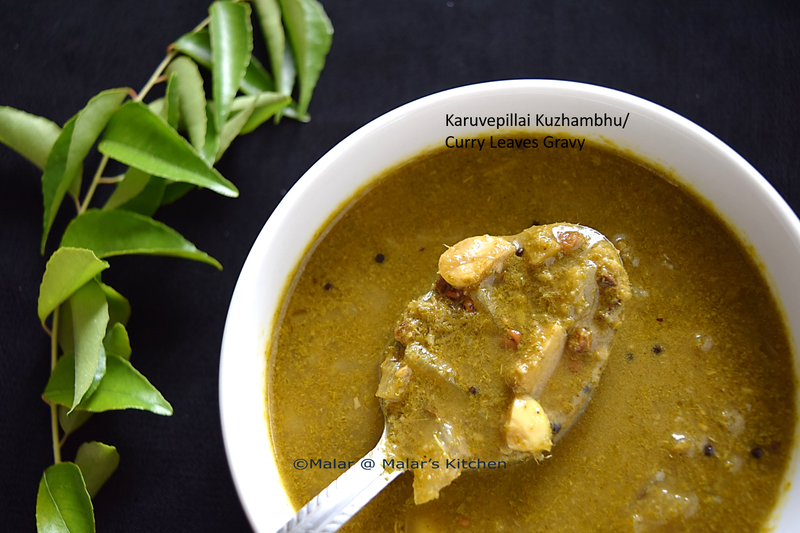 Mor Kuzhambhu is a south Indian yogurt based gravy similar to khadi in north India. Everyone absolutely loves this dish, I am no exception to it. I learnt it from my grandma. 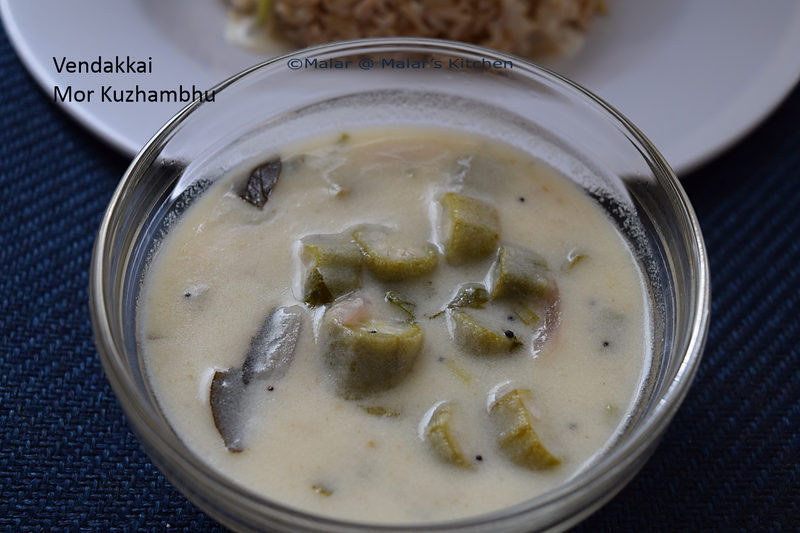 Buttermilk made with yogurt cools down the body temperature, is used in this gravy. I usually prepare this when I have some left out okra in the fridge. Never bothered to take pictures 🙂 Then I thought I should include it in my blog too. So here it is. Soak all the items in to grind for 15 to 20 mins. Meanwhile wash okra, pat it dry in a cloth and remove the water. Chop them to pieces. Grind all the items which are soaked to a fine paste after 15 to 20 mins. Heat oil in a pan, when hot add mustard seeds, red chili. 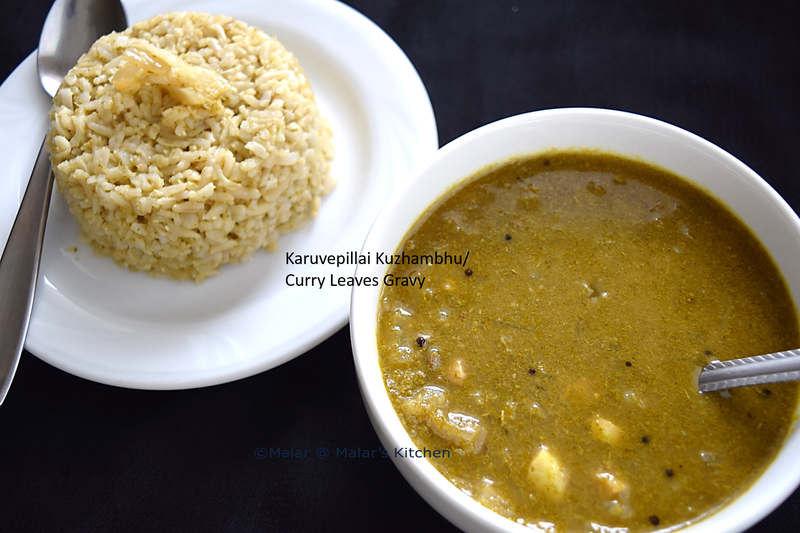 When it splutters, add curry leaves. Then add onions saute for 2 mins. Next add the chopped okra. Saute till the slimness goes off the okra. Make sure to stir in between. When the slimness goes off, add the ground paste above with required salt to the okra. Add one cup water. Cover the pan with lid and cook for 10 mins. Now the gravy thickens, so make sure it doesn’t stick to the bottom of the pan. Check if the okra’s are well cooked, if not add some water and cook. 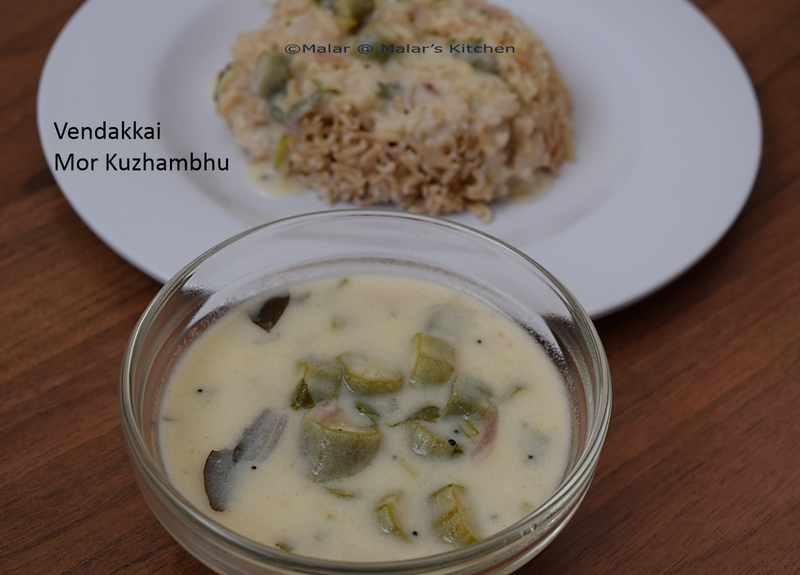 When the okra’s are well cooked, add the butter milk and heat for just 2 mins. If you heat more, then it would turn curdled. Chop few cilantro leaves and garnish. Any veggies of your choice can be used. Curd / Yogurt should not be very sour. 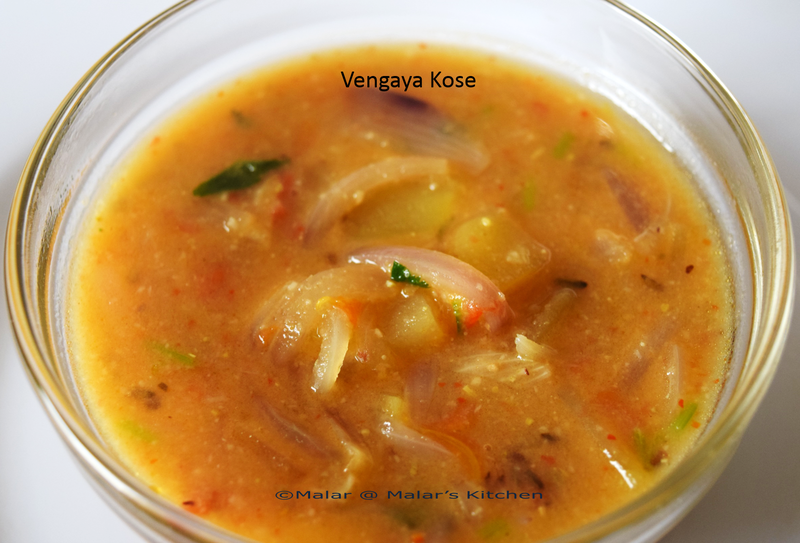 Vengaya kose is a very common Chettinad side dish for idli/dosa. 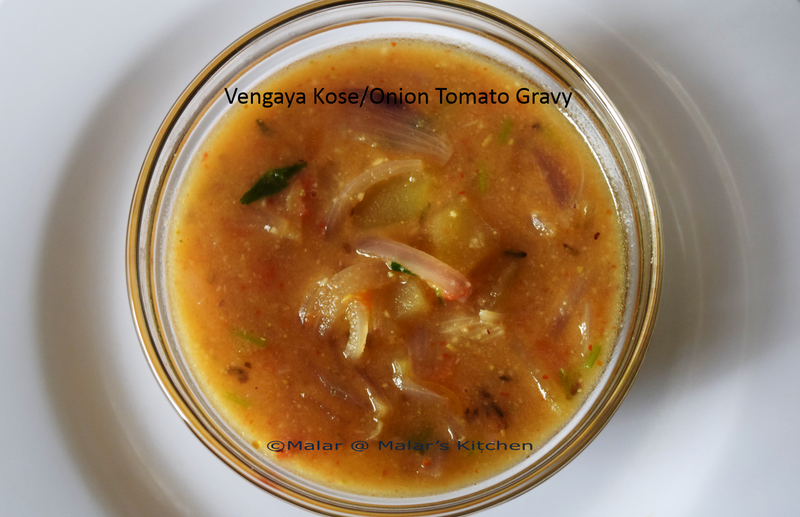 When I have to prepare something which is of Chettinad style, I usually get recipe from my grandma or mom. These days both of them are really busy with their work. 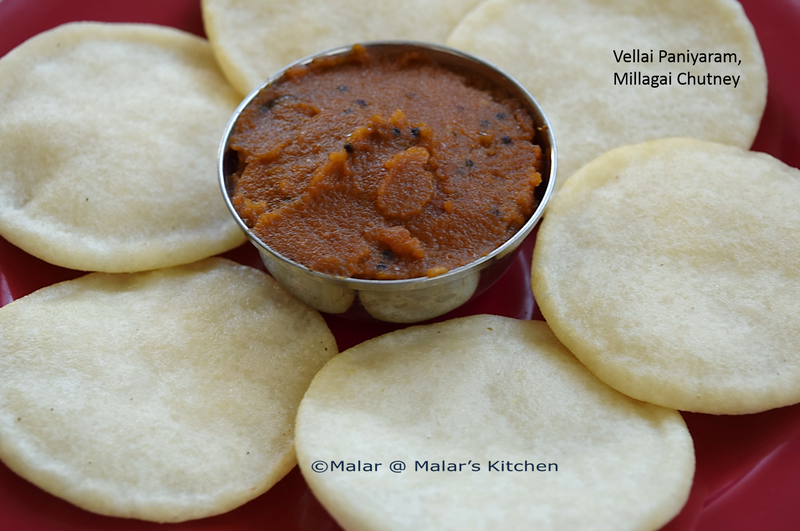 So got this recipe from Solai Achi website , here we can find most of the chettinad special recipes. Add all the items in to grind and with little water to make a fine paste. Set aside. In a pan heat oil. When hot add cinnamon sticks, cloves, fennel seeds. When it crackles, add onion. Saute for 2 mins. Then add the potato and saute till half done. Next add tomato and saute till they are mashed well. Add salt and mix. Now add water to cover just a bit above the veggie layer. Cover the pan with a lid and let it cook for 5 mins. Now check if the potato are 90% done, then add the ground paste. Simmer for 5 mins and cook. Finally add cilantro leaves and garnish. 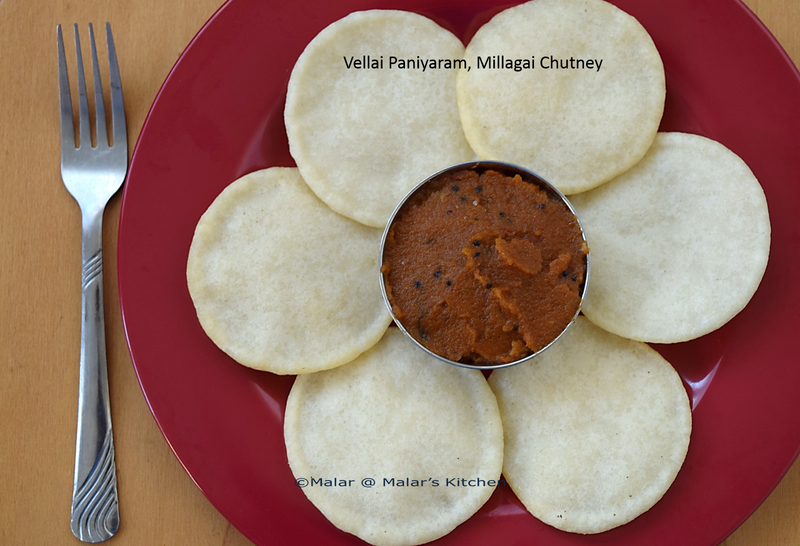 This goes well with any idli/Dosa/Chappati. Wash raw rice with 1 cup of water and save the water in another vessel. If you find any impurities filter it. 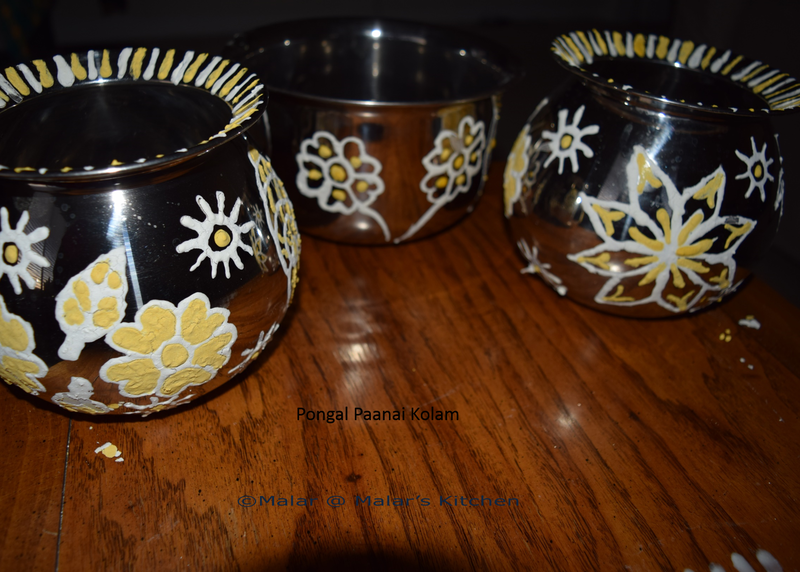 Heat 1 cup washed water+1 1/2 cup milk+1 cup normal water in the pot/pongal panai. 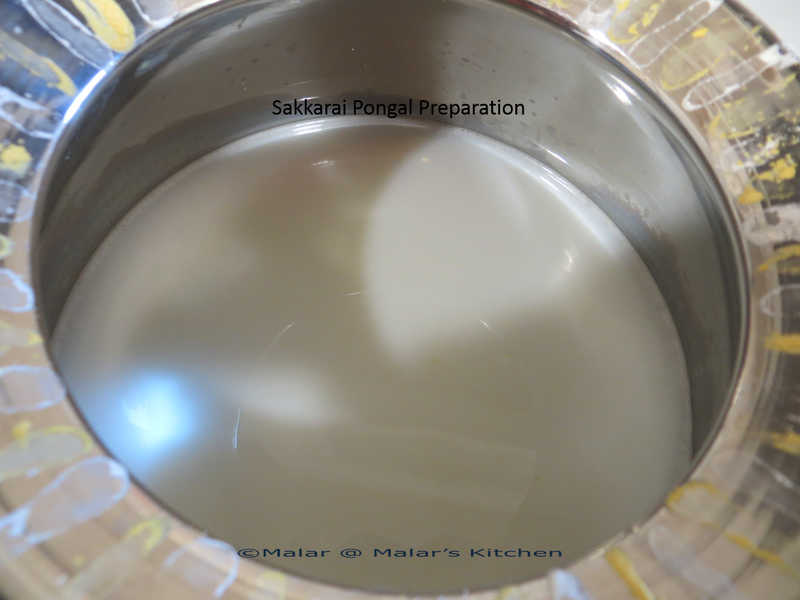 When the milk boils and comes up to the rim of the pot/panai, we usually say “Pongal o Pongal ” and drizzle a bit of water over it. 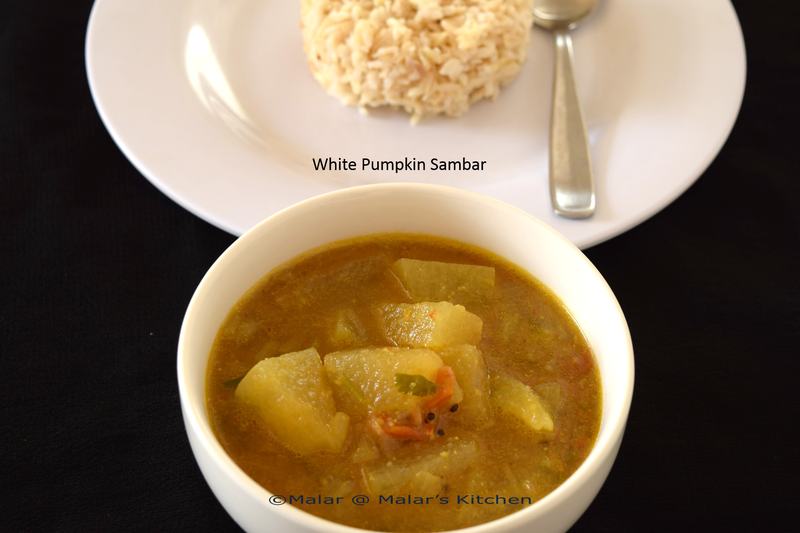 When it subsides, add the rice, moong dal and let it cook. In between keep checking if water is needed, in case it is needed we can add more. This rice has to be cooked more than the normal rice like a little mashed. 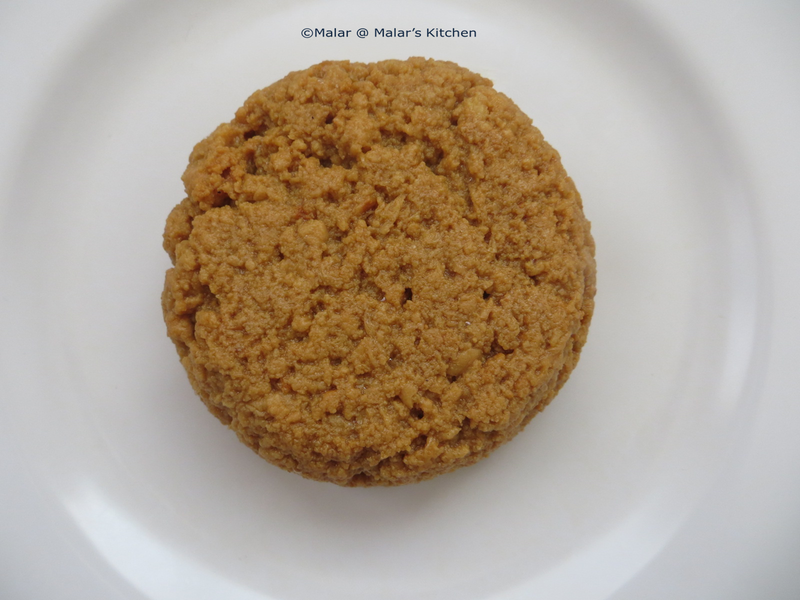 When it is 95% done, in another pan heat jaggery powder with enough water to form a fine paste. Now filter it over the rice and mix well. 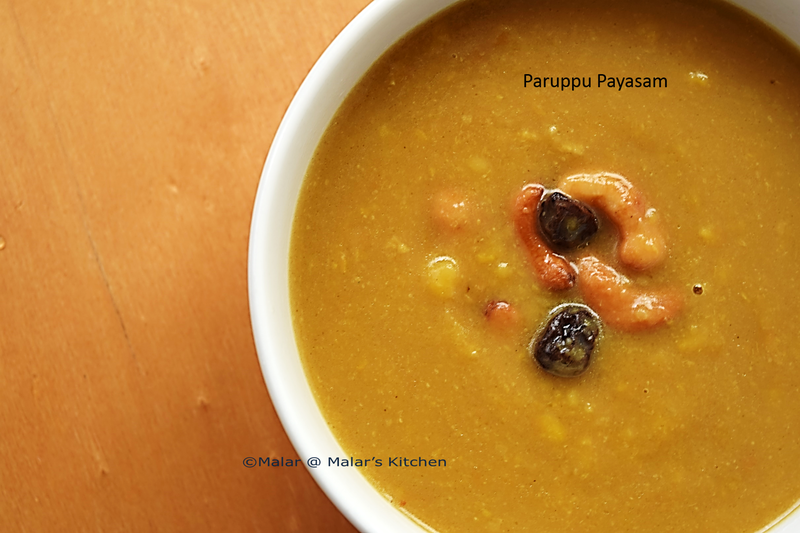 Another small pan heat ghee and add cashews when it starts turning golden brown add raisins. When raisins pops, add this to the rice. By now the rice is fully ready and can be served. One work that I totally love is the pongal kolam/rangoli that we put in the front yard of our home. 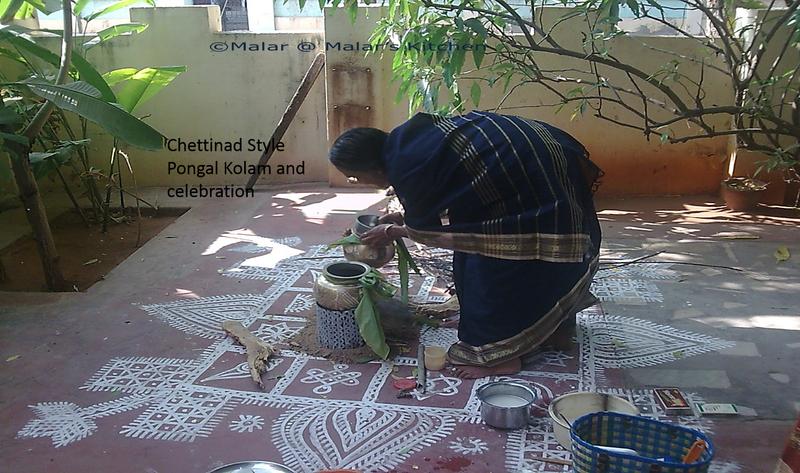 This is the way we chettiars prepare pongal. 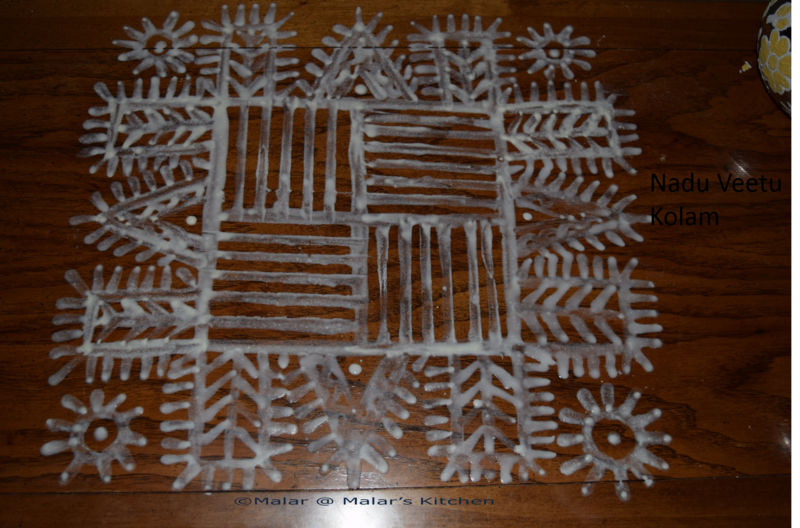 This kolam is not done with the regular rangoli powder, instead we use raw rice paste. It stays for a week, if we don’t disturb it. Me and my grandma we used to do this on the evening of the day before pongal. Some pictures from my archive on how we do it at my hometown. 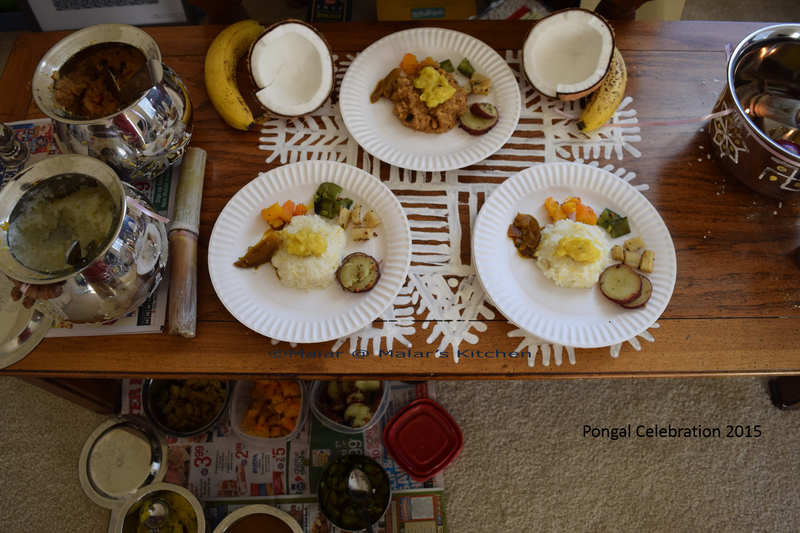 Pongal is usually done in pongal panai in both my in laws and my mom’s place and not in pressure cooker. I follow that method. Will post this way of preparation soon. 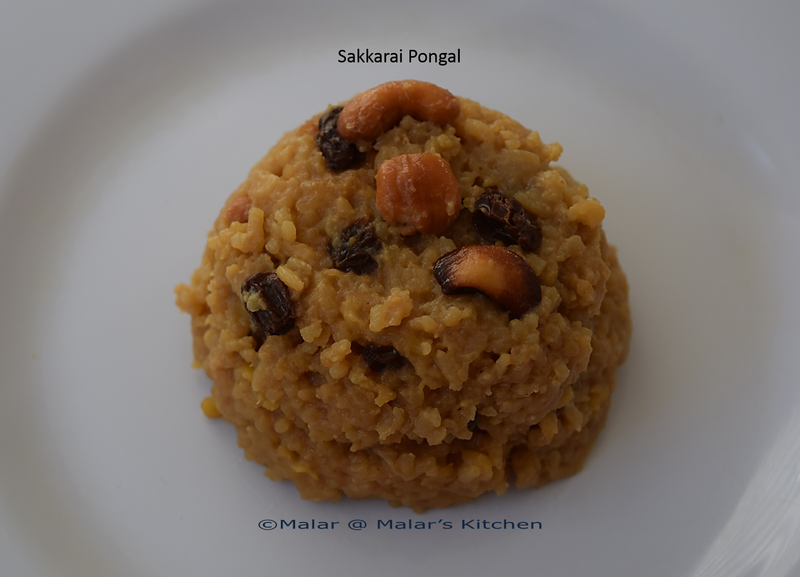 In my in laws place, we make Sakkarai pongal, velai pongal. 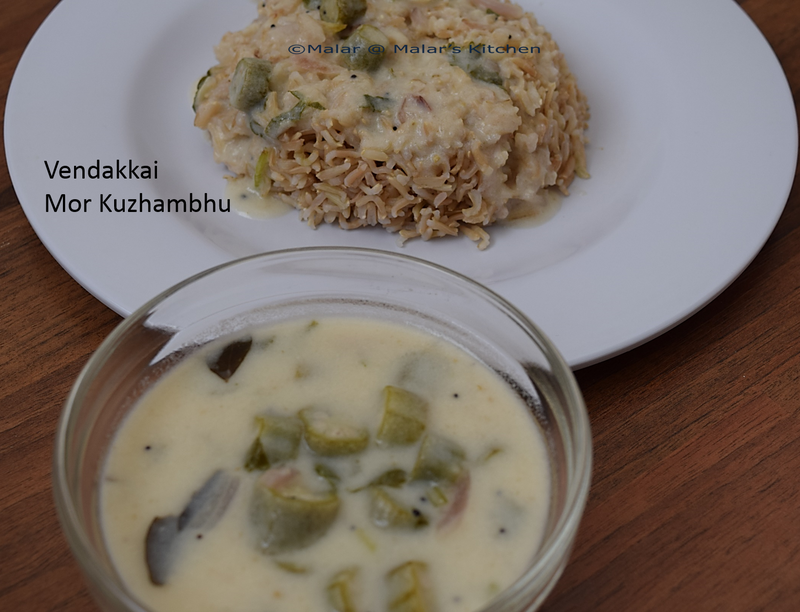 Kathirikai puli kuzhambhu, paruppu masiyal. Then we have parangikai, vazhakkai, avarakkai, sakaravali kizhanghu uppu poriyal. 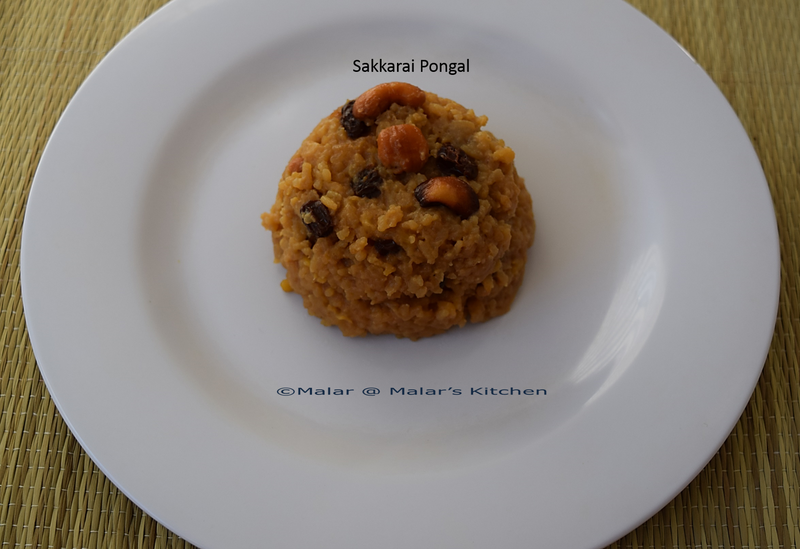 In my mom’s place, we make sakkarai pongal, velai pongal. Kathirikai puli kuzhambhu, paruppu masiyal, palakai kootu, karunaikizhangu kuzhambhu. Then parangikai, vazhakkai, avarakai, sakarvali kizhanghu proiyal. Since we don’t have open space and it’s all carpet in my apartments here in US, I have planned to just do the nadu veetu kolam in our coffee table 😉 and do the offering to god. This is how it is. Diwali nearing and list of sweets lining up 🙂 Thirattupaal is a very common sweet in my place. 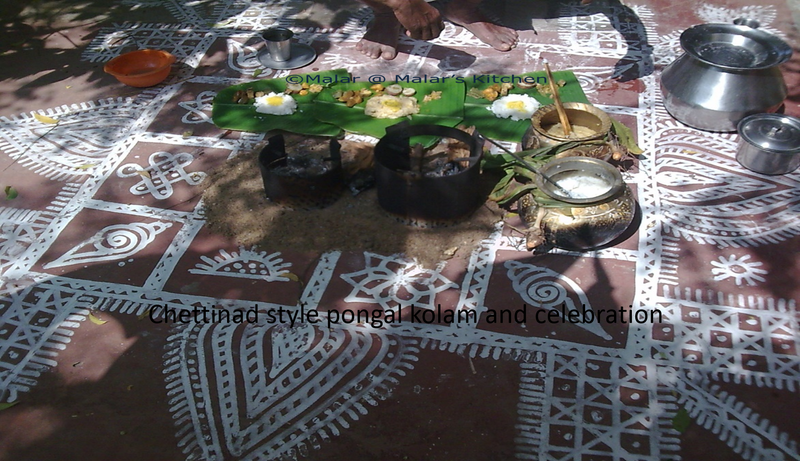 This is the Chettinad style thirattupaal. 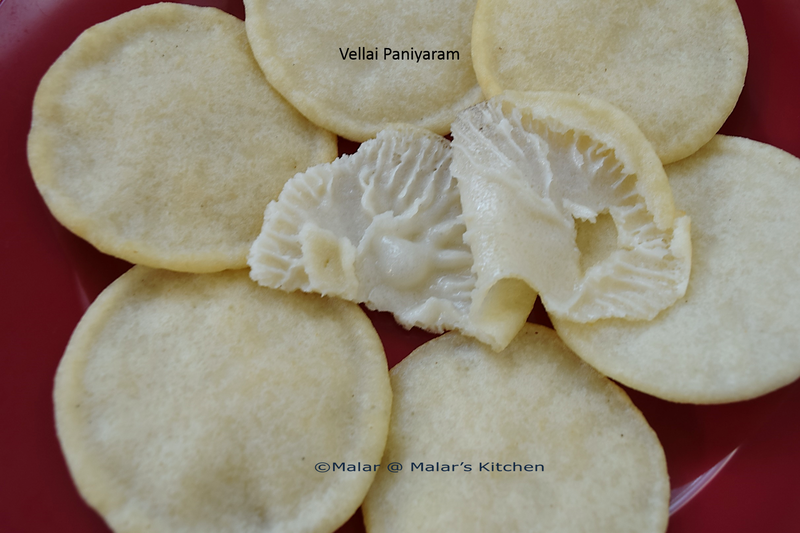 Only difference in this style is that instead of sugar we use palm candy(karupatti) And that taste is a little different from normal paalkova. And this is quite healthy and better than normal refined sugar. 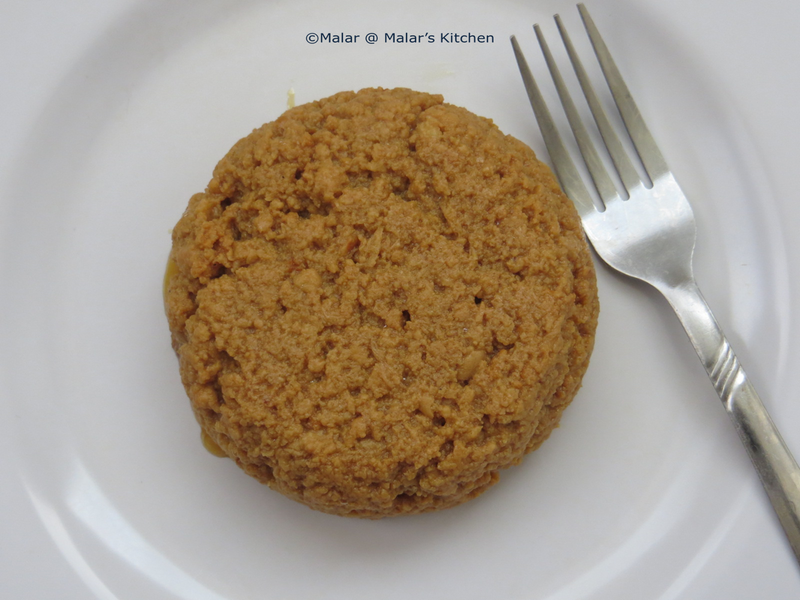 Gur/Jaggery can be replaced instead of palm candy(karupatti) This is as well a healthy option. Take a heavy bottomed pan, pour milk and boil it. Keep boiling in medium heat. Break down karupatti to pieces. In another small pan, heat karupatti with very little water and let it boil. Then filter out for any impurities. 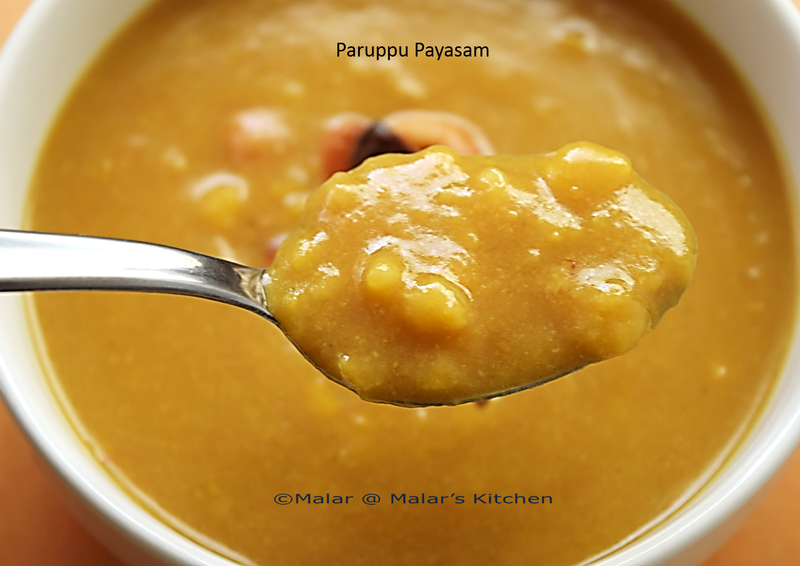 When milk simmer add the above karupatti liquid or directly add jaggery powder/sugar. If jaggery or sugar is added, then lemon juice needs to be added in few mins after adding them. Make sure to keep stirring and add a pinch of salt. At one stage all the water content would evaporate and become thick. Then stop and cool. Optional Elaichi powder can be added for a bit of flavor. This whole process takes around 45 mins to one hour.